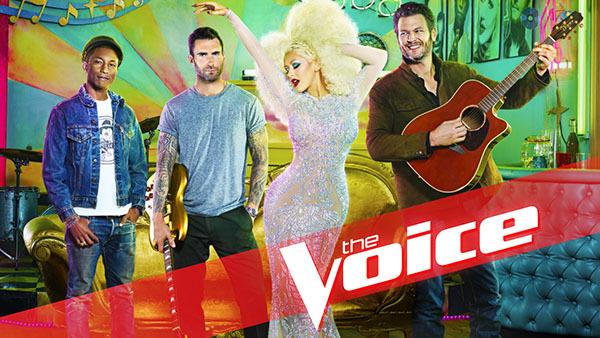 The Voice Season 10 Battle Round returns tonight Monday, March 21, 2016 on NBC 8/7c. The part three of the battles is happening tonight. Get ready to witness another round of show-stopping performances. Adam Wakefield vs Jared Harder “Can’t You See” – the winner of this battle is Adam Wakefield, no steal for Jared Harder. Emily Keener vs Jonathan Bach ‘Explosions’ – the winner of this battle is Emily Keener, no steal for Jared Harder. Kristen Marie vs Daniel Passino ‘Turning Tables’ – the winner of this battle is Daniel Passino, no steal for Kristen Marie. Abby Celso vs Brian Nhira ‘Sugar’ – The winner of this battle is Abby Celso. Adam and Christina are on for a steal, Brian Nhira picked Team Adam. Caroline Burns vs Mike Schiavo ‘Like I’m Gonna Lose You’ – Caroline Burns wins this battle, no steal for Mike Schiavo. Alisan Porter vs Lacy Mandigo “California Dreamin” – The winner of this battle is Alisan Porter. Blake Shelton steal Lacy Mandigo.